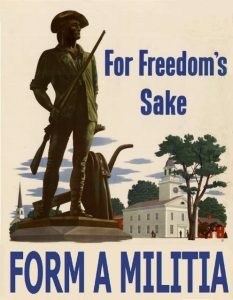 The U.S. Constitution, in Article I Section 8, provides for States to organize and train their Militias according to standards established by the U.S. Congress, and to appoint the officers, but it was not the intention of that clause to authorize states to forbid local organization and training of Militia units, but to require that they be organized and trained. If the state fails to do so, people have not only the right but also the duty to organize and train themselves locally, using their own arms. Just as they have the right and duty, failing action on the state level, to conduct elections, enforce the laws, establish courts, and so forth. This article sets out the basic requirements for starting and running a your very own Militia, including where to get training materials, how to find and train fellow members of your Militia, what kind of things your Militia can do, and important things you have to keep in mind. I hope that when you are done reading this information you will have a newfound appreciation for the Militia and will want to form one in your community. The first step is . . . . . .
For instance, one Militia out of New York state chose the name “Fort Eagle Militia”, and had a picture of an eagle as their logo. While they had no slogan, they did have a several line quote as their mantra. Deciding on a name for your Militia and designing a corresponding logo can be challenging. I recommend you take some time and carefully choose something that will be meaningful to your group, and create a powerful, prestigious and memorable public image. At this stage it is also important that you determine your goals. Are you going to be running a Civil Defense Organization, a revolutionary group, an armed Militia, or a neighborhood watch? Each of these groups has different methods, training, goals and purposes. A civil defense organization is primarily concerned with things such as war (both conventional and nuclear), natural disasters, and other emergency situations that might affect a country. Learning how to prepare and deal with these situations is the primary focus of a civil defense organization. A revolutionary group is looking for just that – a revolution. In this context, they are not armed, but they do things such as produce newsletters, hold rallies and demonstrations, and otherwise try to sway popular opinion towards their cause. An armed Militia is a group who trains with the express purpose of engaging an enemy in combat. They have a clear and defined goal and prepare to ensure that when their country, city, or home is under attack they will be able to respond properly. And finally, a neighborhood watch is a group of citizens who patrol neighborhood to ensure that suspicious activity is reported to law enforcement, with the aim of preventing crimes. • Be honest about your group’s intentions. Nobody will stay if you tell them they will be tracking child predators and you have them following the delivery truck of a new video game you want. • Work around people’s schedules. Everyone has a life, and if your meetings or missions are too frequent or incompatible with their schedules you will get nowhere. • Take advantage of social networking. If you have friends who might be interested in starting a group, start with them. They all know people, so let in people who have been vetted by them. And those people know people, etc. • Another quick way to start recruiting would be to establish a web page, or a section on an already established page. You can make a simple web page, which merely announces your intent to form a local Militia unit and lists one of your e-mail addresses. You can add training and meeting info as it becomes available. The first thing, though, is to get started. 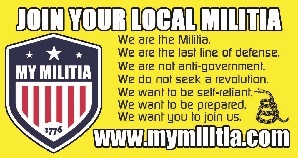 Pick a simple name such as “The Berrien County Militia” or “The Southwest Independent Militia” and start recruiting! • Recruit good people. No one wants to hang around people who are egotistical, self-centered, dishonest, immature, lazy, or inconsiderate. If you or someone in your group has one or more of these traits, you must fix the problem, or else membership will decline. • Make everyone feel welcome and valued. Encourage lots of participation from everyone. • The leaders, organizers and instructors should be worthy of respect. If you are the group’s leader, organizer, or instructor, you will be in a position of trust. No one will listen to you – and they will not come back – if no one respects you. To get respect, you do not need to be Rambo, nor do you have to be an expert on Militia training. You simply need to be an honest, considerate, and upstanding person. • Take time to meet new prospects. If someone contacts you about joining, you must take the time to meet with them. This means you might have to drive halfway across the state. • Do not try to please everyone. Some people will never be pleased no matter what you do. • And finally, if there is a local range that you shoot at, announce the time that you will be there. And by the way, you do not have to get “all Militia-ed” up to go to the range, but you can announce that “I will be there Saturday morning around 10:00AM in a blue Dodge with two CB antennae.” That way, somebody may want to introduce themselves to you, as in “Hey, I saw the web site, and I’m interested.” You will want to include times and locations for more open meetings and training sessions on your web site. And by the way, do not worry about the range officers, or the facility. If there is concern that they are jack booters, then do not wear any kind of “Militia-looking” clothes. Just go to the range as a civilian (that’s what we are anyway – civilians), and work on at least the shooting part of Level One (This is 8 to 10 shots on a nine-inch paper plate at 100 yards from a non-bench position). Co-ordination among local units should be done using correspondence committees, which is the traditional method. These committees do not attempt to act as regional, state, or national organizations, but only to facilitate communications among local units, the sharing of literature, and the building of a consensus for action. Some Militia units might publish newsletters or other documents, but in most cases, it will be easier to publish through established magazines and various alternative media, and distribute extra copies. Members may agree to subscribe to media that co-operate in publishing supporting materials. • Good planning. You must spend time planning each session beforehand, and communicate the plans to each member. • Be safety conscience. I do not know about you, but if I feel the training is not safe, I will not come back. • Provide good instruction. The goal of each session is to learn something. Many sessions will require a marker board and printed materials for the classroom portion. Be organized and do your homework before each session. As these documents are designed for those in the military, it would be wise for someone with military experience or someone willing to do a lot of research to go through the documents, and either write a condensed version with just the important details, or to create a reading list of just the pages and documents that they feel will be relevant for the group. Once you have the documents, you will need to come up with a time and place you can practice your new skills. Performing pop quizzes on the material can be helpful, but nothing replaces solid practice. Make sure to follow safety procedures when dealing with things such as hand-to-hand combat. • A goal of exactly what you will be doing. • A “Plan A” and a “Plan B”, should things go wrong. This final point is very important. People need to know what they are supposed to do when things happen, and what to do is things go wrong. For instance, there is no sense training for an earthquake if your members are unable to help once the communication lines are cut. After each mission, go over what went right and what went wrong, and then make sure those mistakes are incorporated into your training. This is why militaries use Soldiers who have recently returned from combat as instructors, as they “know the enemy”, and what not to do. • Moles: Agents who pretend to be trustworthy but who are mainly focused on obtaining information about Militia members and their activities. • Provocateurs: Agents who pretend to be responsible members, then, when least expected, do something that seeks to discredit the Militia and perhaps provoke official action against it. • Dissipaters: Agents who pretend commitment until they can assume positions of influence within the group, then use it to divert them into ineffective or unproductive activities, such as endless debate, socializing, and divisive disputes, or to reduce morale and resolve. The best protection against infiltration is to teach members to be vigilant and to have a large number of small units and many leaders, none of who is critical. There should be little or no leadership on the state or national level, other than a network of correspondence committees that facilitate communications. It is also important to try and establish good relations with local and state officials, to the extent possible. Work with them to help them solve the problems of the community, and encourage them to ask the Militia to assist them in times of emergency. Resistance from such officials should be countered by getting better ones elected or appointed. Your Militia group must follow all rules and regulations – you cannot break the law. For instance, possessing handguns or rifles in Washington D.C. for self-defense is illegal, so you would not be able to have a Militia that is armed with guns in that city. Therefore, education in constitutional law must be a priority. Every Militia member must be trained to interpret the constitutionality of laws and official acts, and taught that doing so is the responsibility of each individual, that it cannot be delegated to others, such as judges or superiors. Special attention needs to be given to educating lawyers, judges, officials, and college and high school students. Militia members need to make sure that every public library contains suitable books and magazines that provide education on these subjects of liberty. You also have to be worried about people who do not understand your group’s goals. They will be trying daily to break it up. 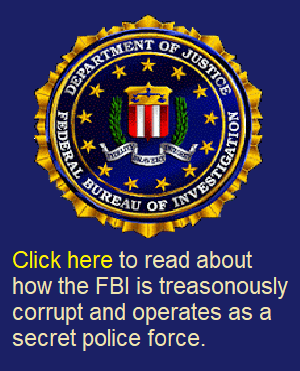 Read up on counterintelligence, and how to compartmentalize information. A good introduction to the field of intelligence (which involves analyzing information for its value), and the field of counterintelligence (which involves preventing enemies from getting and undermining your intelligence) is my own article, Intelligence on this website. Never lose sight of your goal. If you are training for natural disasters or emergencies, train for that. Do not let a romantic idea of being a “guerilla fighter” or a revolutionary sway you into potentially illegal goals. Realize that the police will be placing you under surveillance if they believe you have negative goals. It is your job to network with the police and make sure they understand you are not out to hurt anyone. And finally, have fun! There’s nothing more exciting than training for new skills, and knowing you are prepared to deal with whatever might come your way. You have no idea of knowing whether or not people who contact you are FBI, ATF, Interpol, or perhaps worst of all, some media schmuck. We do not care if they come to our meetings, and you should not, either. We do not do anything illegal, and you should not either. Just always assume that somebody there is some sort of infiltrator or agent, and act accordingly. For instance we get visits on our website from “.mil” and “.gov” domains all the time. We hope they are learning something. We wish they would donate some money, since we are furnishing them with such a cushy job. Seriously, there is so much legal training, including marksmanship, medical training, tactics, communications, field craft and other things, that we should all be doing, that illegal things are not worth sweating over. Absolutely no gun conversions, no bomb making, and no lists of judges to assassinate. Do not do it, do not talk about it, and do not ask about it – period. If the local Obama Fed infiltrator asks you about it, just tell him, “We do not do that,” and be done with it.